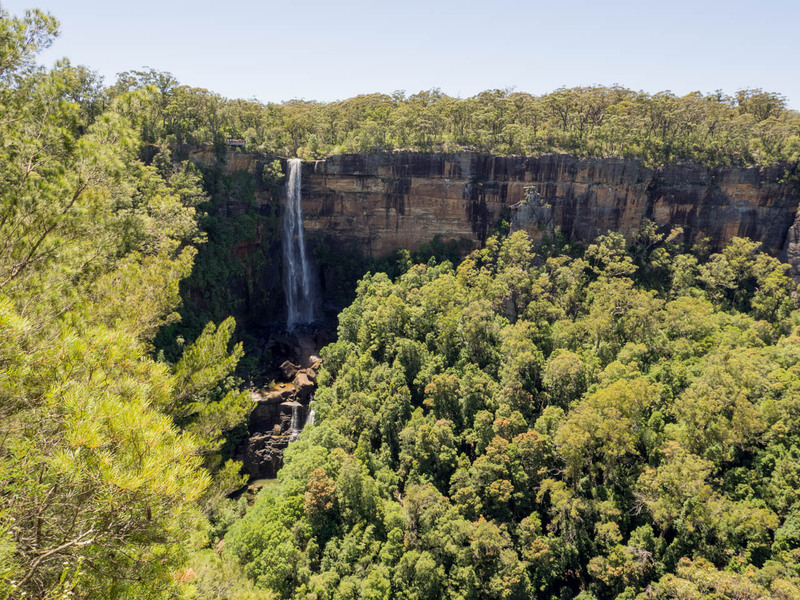 Skirting the rim of spectacular escarpment country, this easy walk is replete with dramatic lookouts, tall waterfalls and even a hidden grotto. 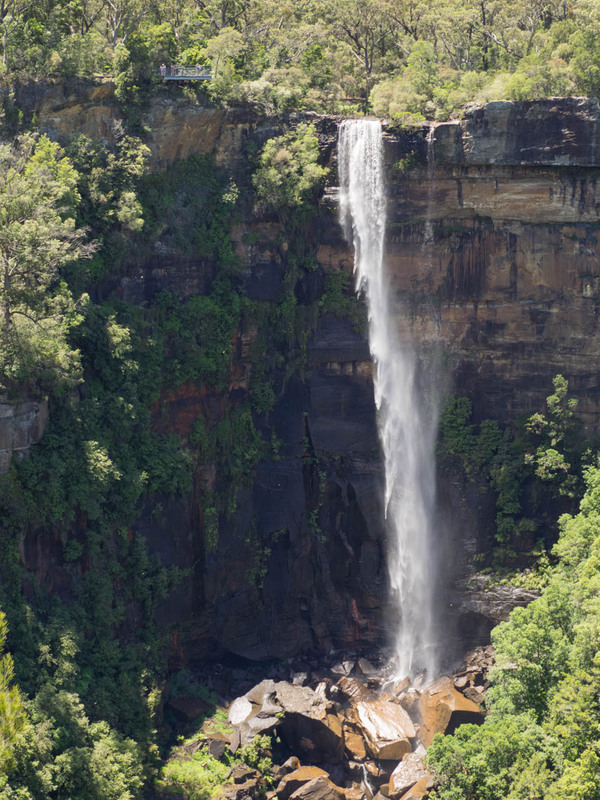 It’s a very accessible introduction to the spectacular scenery of Morton National Park, which is easily on a par with the Blue Mountains. 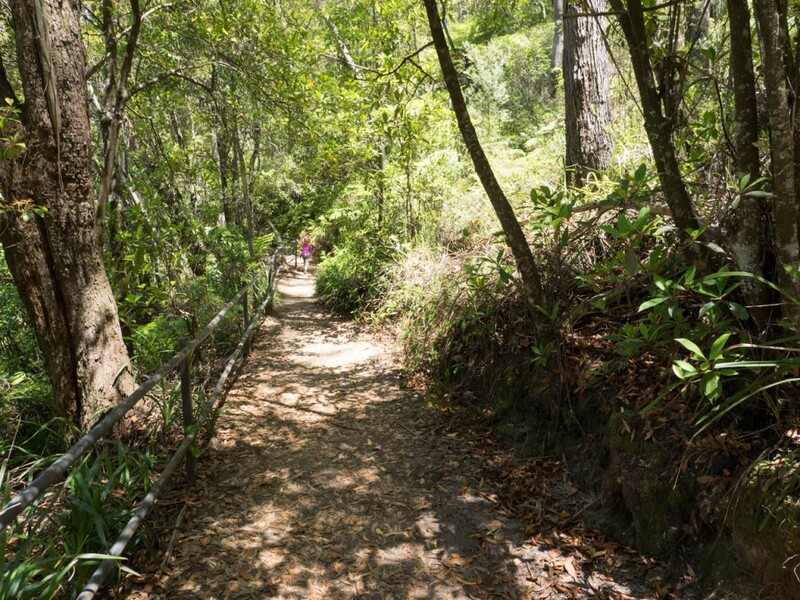 This is a great walk for children and adults alike: the path is flat, there are steps for any graded sections, and the regular lookouts are perfect spots to take in the views of the tumbling falls and densely forested valley. 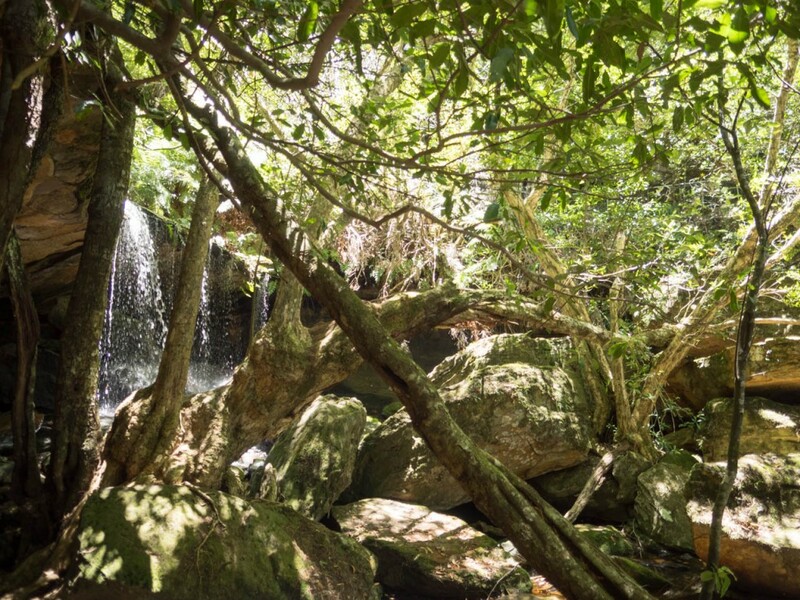 Even better, you can vary the length from a few hundred metres to the full 4km return walk, or turn back at any one of the many lookouts along the way (we walked about 2.5km return to the Grotto). But be warned: this is a very popular walk. We had to fight our way through the crowds on a hot summer’s day. The numbers dwindled the further we got from the Visitors Centre but look elsewhere for a wilderness experience (I’m told the less-popular, longer and rougher East Rim walk, which skirts the eastern side of the escarpment, would be a better, if less child-friendly, option for those seeking solitude). 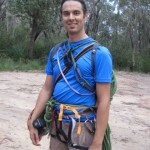 I did part of this walk during a stop off on the way from Goulburn to Nowra once for work. The views were indeed spectacular, and so surprising after all that English looking countryside ( if you come via the Southern Highlands). I had the place to myself, but it was midweek in Autumn. Thanks for reminding me about it! You’re welcome Eliane… The Southern Highlands are definitely a place of contrasts. 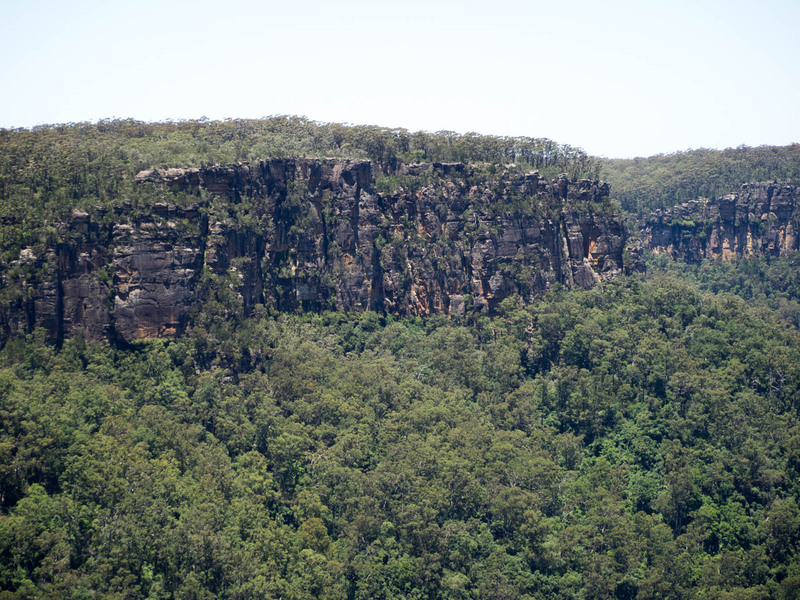 It was my first but definitely not last visit to Morton NP. I look forward to trying the East Rim walk next time. A great walk… lot’s of spectacular views for relatively little effort! You can combine the East Rim and West Rim tracks if you have time – although West Rim is the more scenic option! 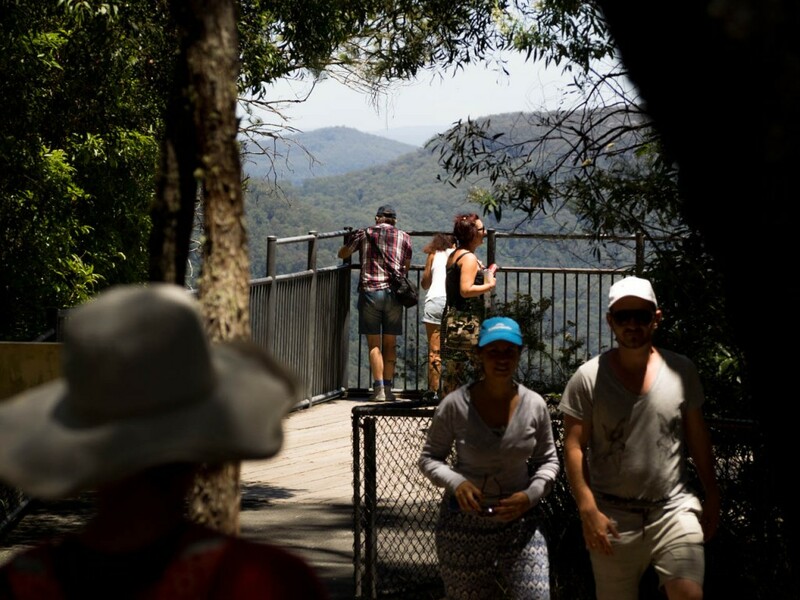 Didn’t look too busy in your photos – some of the lookouts can get pretty busy during school holidays. Yes, it’s a great little walk. Would be even better to do it mid-week when there are less crowds.